We assume a leading position when it comes to solving your legal matter. We are a team of experienced attorneys who will help you guide remarkably through every phase of the legal matter to deliver optimal solutions ultimately. Our focus is on representing you, the client. We have won the trust and confidence of our clients and have made a mark with our virtuoso performance in the areas of practice we deal in. We are committed to adhering to personal integrity, solid advocacy, and the supreme ethical and professional standards. 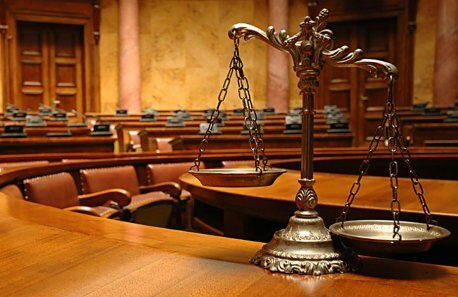 Each and every attorney we have in our team is an experienced litigator. We know very well what it takes to prepare a case and make it a success at trial. We take modest pride and delight to enjoy the fruitful results on a continuing basis and will employ our resources to deliver you a positive result in your case. not be fixed after a reasonable number of repair attempts. Our office handles all Bankruptcy and Foreclosure Protection Law. We file both Chapter 7 & Chapter 13 to help people repair their financial situation. Foreclosure Prevention Counseling help is available online and via telephone. We assist with Loan Modification as well. Lost your job? Hours cut back? Unforeseen medical emergency? Bit off more debt than you can chew? If you answered “yes” to any of these questions, then a Chapter 7 bankruptcy may be right for you. Whether you intend to buy or sell a corporate business, the need to get in touch with a professional counselor through the process stands to reason. In order to carry out the transaction, you may need to accomplish a variety of complex legal agreements. You are also in need of a lawyer who can understand the details about your business closures and who will conduct the due diligence that is important to embolden your confidence and that your interests are being thoroughly protected. The Prashant Law Firm, P.C. with offices in New York (Manhattan) & New Jersey (Princeton, Edison & Jersey City) provides cost-effective legal services to individuals and companies alike. We are committed to maintaining the highest standards of our services and strive to meet your legal challenges. We also provide our clients with matter-of-fact legal advice that only an experienced lawyer can provide.